This past week, Joanne Haruta and Bryan Davis of Lost Spirits Distillery visited my hometown of Seattle. 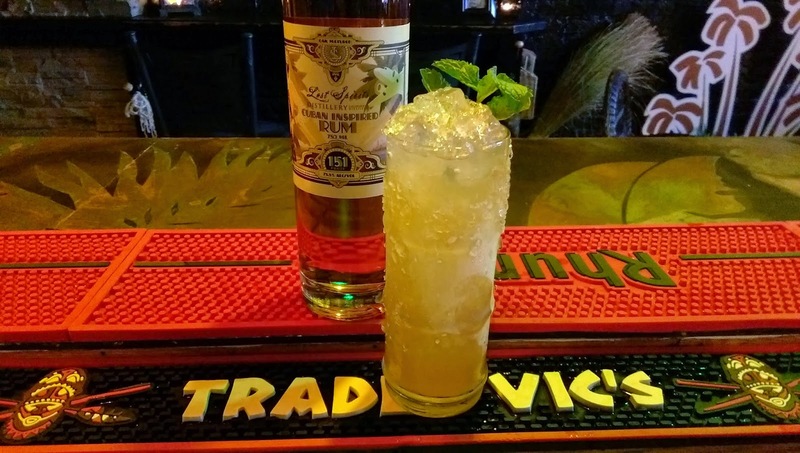 I eagerly anticipated their trip as the Seattle area has several top notch rum-centric bars, including Rumba and Tacoma Cabana, as well as the Pantheon of the American Whiskey, Canon. Over several evenings we visited all of them, and much rum and whiskey scuttlebutt ensued. Fun side story: At Canon, Bryan and Joanne were shocked to find four different Lost Spirits whiskeys, several that they no longer have themselves. One reason Bryan and Joanne visited was for a special evening at Tacoma Cabana where Bryan gave a presentation about rum chemistry and how he uses that knowledge to tweaks the flavor profiles of their rums, currently numbering four varieties: Navy Style, Polynesian Inspired, Cuban Inspired, and Colonial American Inspired. The presentation at Tacoma Cabana was very familiar to me as months ago Bryan walked me through it via Skype, answering my countless questions along the way. That Skype session was the basis of my first in-depth post on the Lost Spirits process. It’s a very non-traditional rum-making presentation, so it was fun to watch the crowd reaction as Bryan threw out factoids such as how the decidedly unpleasant aroma of vomit is a precursor to the smell of pineapple. At one point, Bryan was talking through an eye chart of esters (photo below), discussing the elements found in pineapple. Somebody jokingly asked how to make the sour apple flavor. Without missing a beat Bryan rattled off the key esters and briefly diverted to a description of malic acid and grape skins, which provide the sour flavor. Acetic acid – aka vinegar, a byproduct of fermentation. You don’t want your rum to taste like this. Ethyl Acetate – The smell of nail polish remover, and all too easy to inadvertently produce. The 15150 swizzle is one of the featured recipes at the event, and which Jason Alexander graciously provided the recipe for inclusion here. 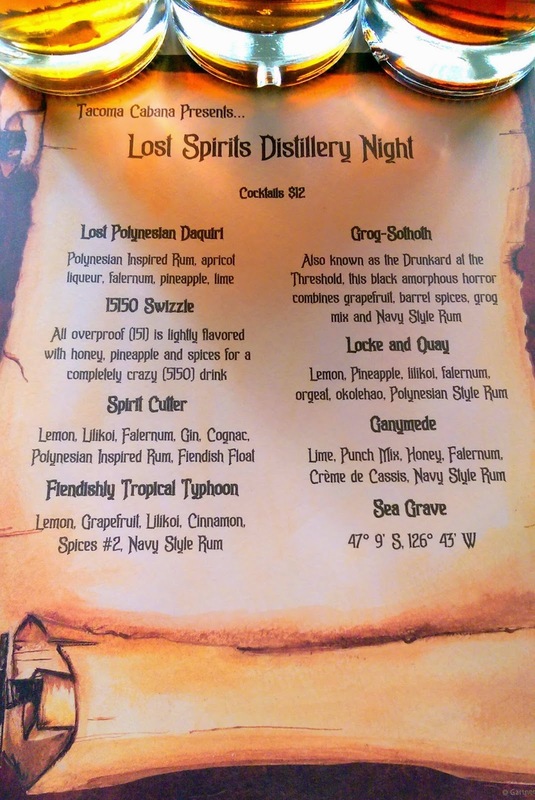 The 15150 name is play on the Lost Spirits Cuban Inspired 151-proof rum and the 5150, the California legal code for “involuntary psychiatric hold,” (aka “crazy” or that Van Halen album with Sammy Hagar that you bought on cassette). Build in tall glass with crushed ice. Swizzle. Garnish outlandishly in Tiki style. Set things on fire. The punch mix is the same mix used in the previously mentioned Ganymede recipe. Combine all ingredients, stir till sugar dissolves, then stir occasionally till the nutmeg dissolves.